The FAQ plus Sign up information is HERE. For private photoshoots, we will meet at the bottom of the stairs on the left hand side of the convention center. Get closer and enter the door in the middle. Turn left and we will meet at the bottom of the stairs. This photo shows where the stairs are. We will walk to different locations if necessary. There are a couple of "gardens" around. And here is the schedule for May 22, 2009 and May 23, 2009. We will hopefully have two to three photographers shooting your photos. Their information will be posted later. We are going to have 3 photographers on the shooting day. 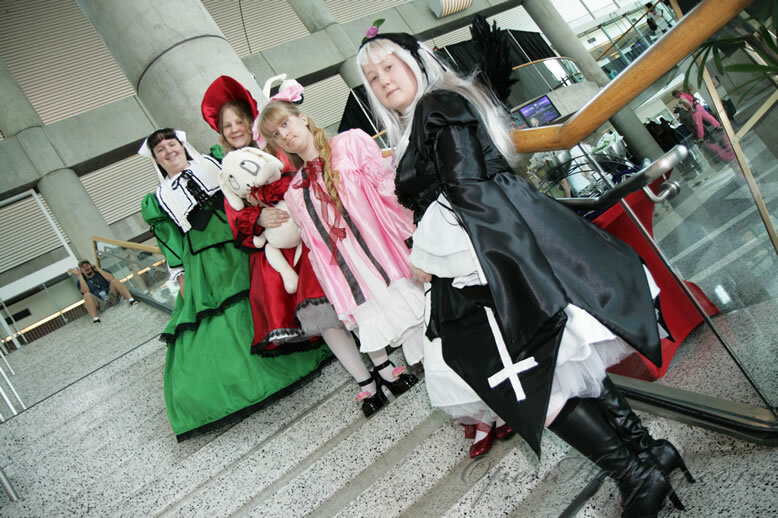 1:00pm to 2:00pm (Overflow / Lunch) I want to photoshoot maids at Maid Cafe ... any info?